Holiday Gift Guide: Top 10 Personalized Books for Kids! This post is brought to you by Put Me In The Story. All opinions are our own. Looking for the perfect holiday gift ideas for young readers? 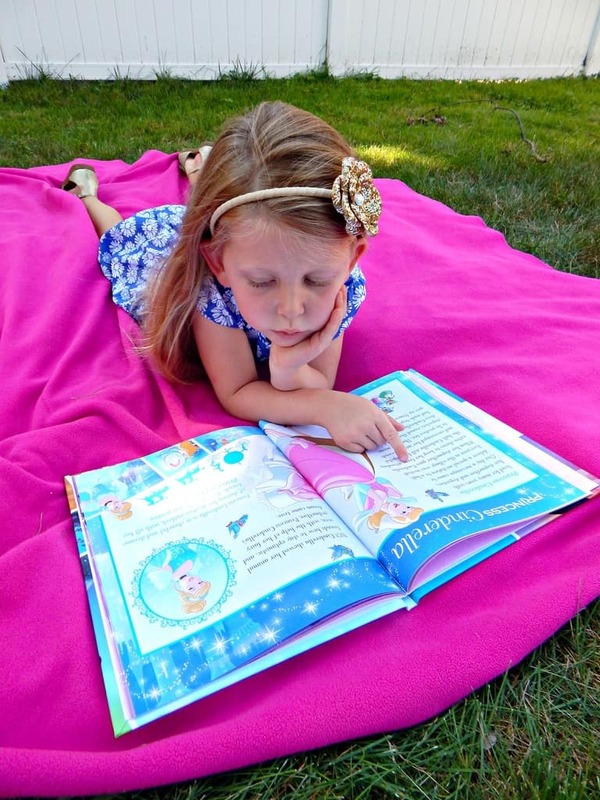 Personalized books for kids make fabulous presents! They not only encourage your little one to read more (what child doesn’t love seeing themselves in a storybook? ), they are amazing keepsakes that your child will treasure for years to come. Put Me in the Story has a massive collection of fun personalized stories for every child’s interest, from Disney Princesses to dinosaurs! Now is the perfect time to shop Put Me in the Story. They currently have their 12 Days of Deals going on now through November 23rd . If you miss those deals, don’t worry, they usually have some pretty good deals around Black Friday/Cyber Monday as well! Check out our holiday gift guide featuring 10 of our favorite ideas! Do you have any favorite personalized books for kids from Put Me in the Story? Share in the comments! Santa Is Coming to My House takes your child on an exciting journey with everyone’s favorite jolly old elf, Santa himself! Personalize the story with your child’s name and send him on an epic adventure to help save Christmas! This book is perfect for kids age 3-7. With 36 pages, it’s just the right length for a bedtime story! “You’re my sweetie, my dear, my smile and giggle. You’re my playmate for always, my hug and my wiggle.” I Love You So… is a simple yet beautiful way to let your little ones know just how very much you love them. While the book is perfect for ages 4-7, it really makes a meaningful gift for kids of all ages. All of your child’s favorite Sesame Street characters are coming together to celebrate in ‘Twas the Night Before Christmas on Sesame Street! Cookie Monster has a very big problem. He kind of ate all of Santa’s cookies! Now, he needs help from your special little elf to replace them! This one is just right for ages 4-7. 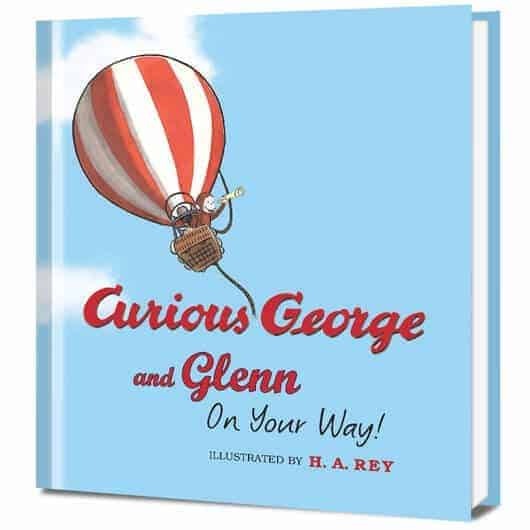 Everyone’s favorite curious monkey is craving a bit of adventure in Curious George Curious You: On Your Way, and he wants your little one to join his journey! Of course, things don’t go exactly as planned, but that never stops George from putting his whole heart into his explorations! This is a great story to encourage your kids’ imaginations while reminding them that no matter what, you’ll always be there for them! It’s written for kids age 4-7, but I think it would also make a fun gift idea for older fans of George who need a little encouragement. 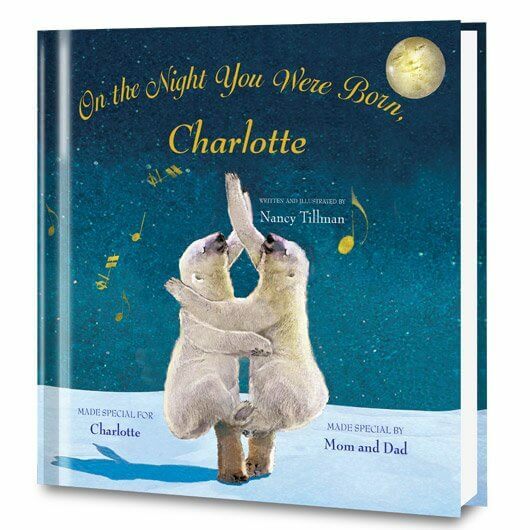 On the Night You Were Born was one of my favorite stories to read to my son when he was a baby. The personalized version is even more special! 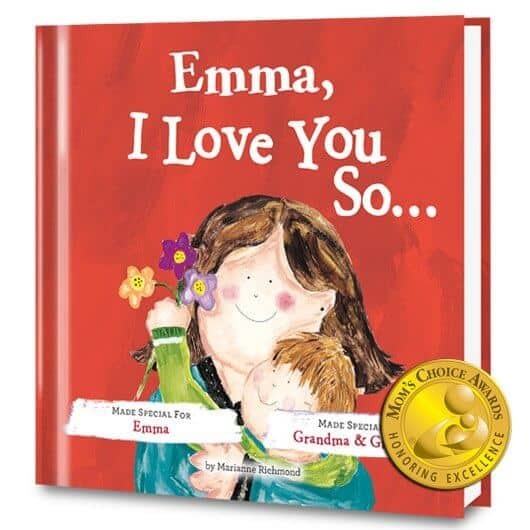 This beautifully illustrated story shows your child just how very much they mean to you. It’s perfect for all ages. I highly recommend it as a baby’s first Christmas gift! 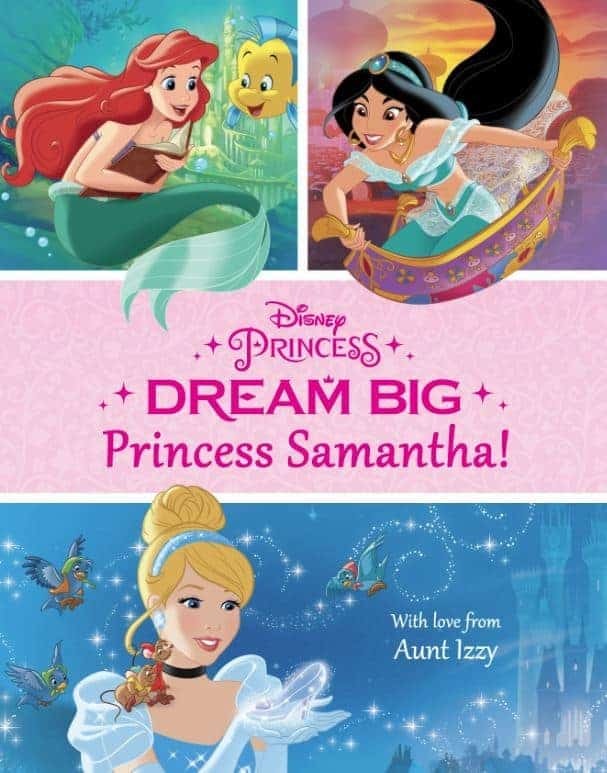 We actually reviewed Dream Big, Princess! a few months ago. Kristy’s daughter absolutely loved it! The story turns your child into a Disney Princess and encourages her to always put her best foot forward and stay positive. This book is perfect for any Disney Princess fan in your life, especially those ages 4-8. Got a budding chef or hostess on your hands? 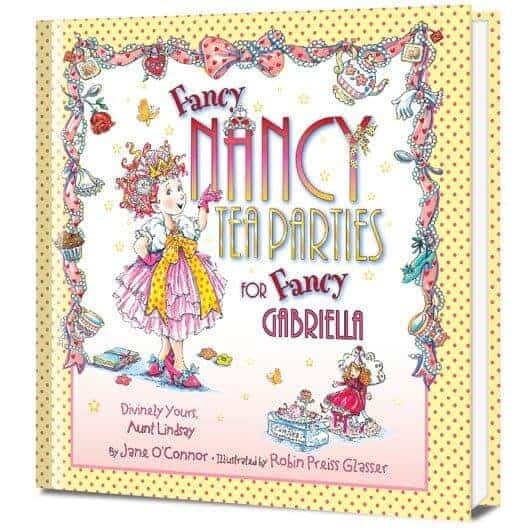 In Fancy Nancy Tea Parties, Nancy can’t wait to share all her expertise with your child! From recipes and crafts to tips on proper tea party etiquette, your child will be the ultimate host by the end of the story! When you’re done reading, whip up your own tasty treats using the included recipe cards! Perfect for ages 4-8. 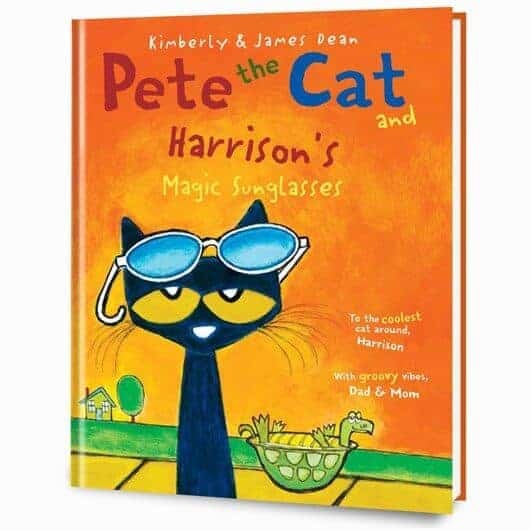 In Pete the Cat and His Magic Sunglasses, poor Pete is having a pretty rough day until Grumpy Toad lends him a pair of magical sunglasses! Once he puts them on, he sees the world in a whole new way…and encourages your child to do the same! This story, perfect for all ages, helps your kids learn to find the good in even the gloomiest of days. In Isabella: Girl In Charge, your child’s name takes the place of “Isabella” and sends them on a journey to the White House! 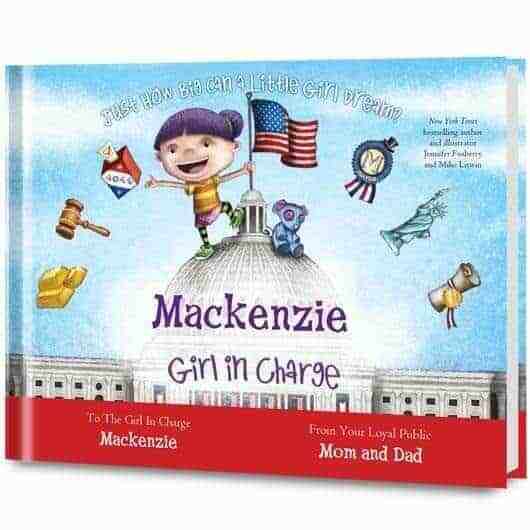 Your little one will learn about all the amazing women throughout history who made a positive impact in Washington. This is the perfect story to remind children ages 4-7 that they can do anything they can do anything they set their mind to! 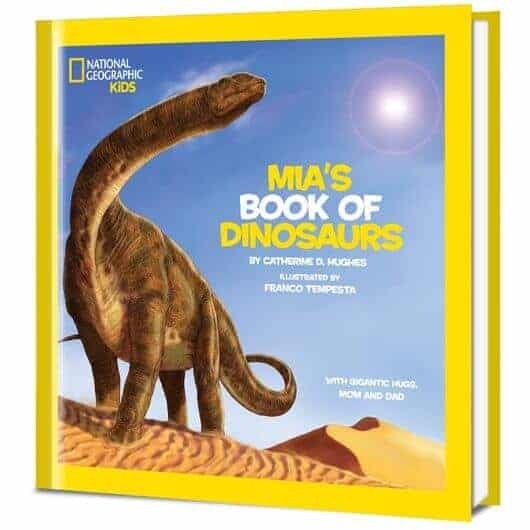 The “National Geographic Little Kids book of” line includes favorites such as Dinosaurs, Animals, Ocean Animals, and Space. Each book features exciting illustrations and fun facts the subjects. Journey back to the prehistoric age, take a trip to the rain forest or blast off into space! At the end of the book, kids can mark off their favorite animals, name their own comet and more. Put Me In The Story takes bestselling books and beloved characters and creates personalized books complete with your child’s name, photo, and even a special message from you! They make reading more fun and engaging since your child is the star of the story. In 2016, Put Me In The Story published over 60 new books with partners like Disney, National Geographic Kids, Curious George, Harper Collins, Sesame Street, Star Wars, The Avengers, and more. Basically, all the characters and themes that our kids love the most! Any of these personalized books for kids would make a fabulous holiday gift idea for your little one! These are just ten of our favorites, but there are tons more to choose from on the Put Me In The Story website. You can also take the gift even further with personalized puzzles, placemats and more. Check out the Gift Sets, too. Some books come with plush toys and other fun enhancements. Follow Put Me In the Story on Facebook and Twitter to keep up with the news. Check them out on Instagram & Pinterest for inspiration and a peek at their other fabulous personalized books for kids. Back To School Lunchbox Safety Tips + Adorable Lunchbox Notes Printable! I have a very unique name so personalized gifts are always fun. I love “On the Night You Were Born”. A friend got that book for my daughter last Christmas. Books for gifts are a great way to do a 25 days of Christmas gift idea for the kiddos. Several of these books would be a hit with my kiddos! Thanks for sharing. We got personalized books for our toddlers last year and they love them all over again, even more now that they recognize their names in them. I love anything personalized and I love giving personalized items as gifts too. These books would be perfect for my little niece and little nephew. One of my favorite thing to give to my kids as a gift is books! Over the years they have accumulated personalized books. I absolutely adore personalized stories! I think they are such a great way to grab the child’s interest and foster a love of reading! When my kids were younger they loved personalized books. This is a great list of books to choose from. I remember one book my son had 20 years ago that he must have read with me about a million times! I think personalized kids books are such a wonderful gift! I would love to give these to my nieces and nephews! books are such a great gift to give, esp the ones you chose : ) It makes it even more personal with a sweet note to write on the cover page! These are all great book ideas for the kids this holiday season. I love giving books! What a wonderful gift. Personalized books have come a long way. My favorite from your list is On the Night You Were Born. My youngest loves Pete the Cat books.I should get him a new one for his stocking. What great gift ideas! I love the idea of them being personalized. I feel like that would definitely make kids more interested! What a great idea – love all of your picks! Oh this would be perfect for Christmas! I’m going to grab a couple! I do agree that personalized books are the wonderful gift options for kids. I am in love with all these books where ‘On the Night You Were Born’ and ‘National Geographic Little Kids book of’ are my favorites among them! These are really cute! I didn’t realize there were so many options to personalize books. My daughter will love these when she is older. I like that Pete the Cat. I may get that for my son. He’s a huge fan. Even better that its personalized. These are pretty cool! My kids don’t normally mind if their name isn’t in the book, but it would be a nice twist! I so love holiday books and movies. Any child will fall in love with any of the books you selected! Personalized books are just lovely gifts! I think it will help encourage kids to read more and love books! It makes me happy to see that children’s books are still….well, children’s books! I’m glad they’re not making the kids grow up too fast! The books look so fascinating. I would love to become a kid once more just to be gifted these lovely books. My kids absolutely love pete the cat books. they have I think most of them and a CD that goes with the one about the shoes. Great suggestions here! Kids feel more special when their books are personalized which means they’ll want to read more! I love these gift ideas! They’re really useful! What fun books! My daughter has some personalized ones that she loves. These are all amazing gift ideas! Kids love to feel special and this will certainly do it, I will have to see about getting some of these for my kids! I love the personal books! Kids love being in the story too. It’s so cool that we can make these too! These are great!! I used to get so excited when I was a child if my name appeared in a book. I remember the book Possum Magic was dedicated to a Chloe and so I used to imagine that it was myself. Now I can make this experience a reality for my little cherub! I’m sure my grandsons would love some of these. It’s such a novel and unique gift idea. I’ve seen them over the years, but my children were always too old for them. But now that there are grands running around, it’s a different story – so to speak. Thanks for sharing. I think i’ll go with the curious george book for my niece and nephew. These are fantastic books for the holidays. 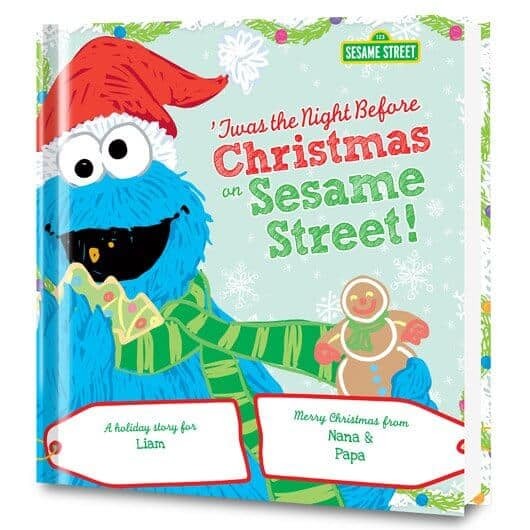 We have ‘Twas the Night Before Christmas on Sesame Street. The kids like to read it before bed. I do love to go the personalized route for books. They are the best kind of keepsake. Some of my fondest memories of holiday gifts include the personalized books grandma got me each year. I think it’s always fun to feel like you are part of the story when you are a child! Great picks! I love personalized books because it introduces kids to the joy of reading. I know my kids always liked it when their name was in the story. I had no idea there were so many of them! I love the options! I think kids love to see themselves in a story it makes it much more interactive and it gets them excited about reading! 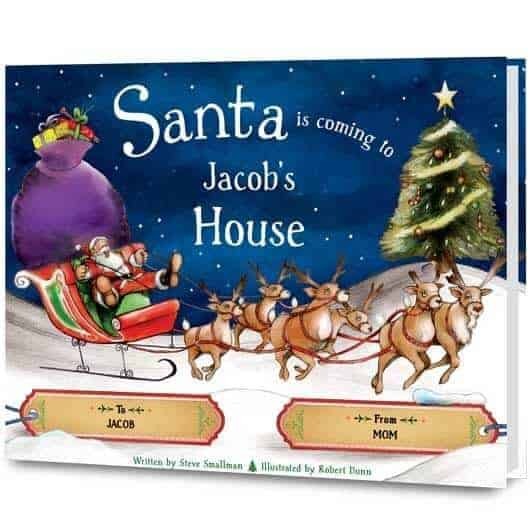 My son loved the Chanukah book from put me in the story! I got my kids some personalized books from another company, but I adore them. It’s fun to read them with my kids and they love hearing their names when we read. It’s a great gift for kids and they will have those books for a lifetime. Thank you for this post. These books are perfect for my kids. I am looking for personalized products this year. Personalized books are always a great choice for gifts. Not only do the get kids into ready early, but they get kids EXCITED about reading. These are all great books. I love giving personalized books as gifts because they can set children up for a lifelong love of reading.